FULLERTON, CA. – (Nov. 23, 2010) – The SCORE Baja 1000 is off-road racing’s toughest test. Yokohama Tire-sponsored racers took the challenge, with three-time SCORE champion Heidi Steele leading the pack with a third-place finish in Class 6 for unlimited, production mini trucks. The 43rd edition of the iconic desert race, which wound down Mexico’s Baja Peninsula from Ensenada to La Paz, took place November 17-20. Driving her customary Ford Ranger, Steele, the two-time defending Class 6 champ, and her co-drivers and Desert Assassins teammates Rene Brugger and Pat Dailey, finished the grueling 1061.69-mile course on Yokohama Geolandar M/T+® tires in 27:43:10. Like Heidi Steele, Hanawa ran on Geolandar M/T+ tires. In July, he set a world record for electric vehicles at the Pikes Peak International Hill Climb. 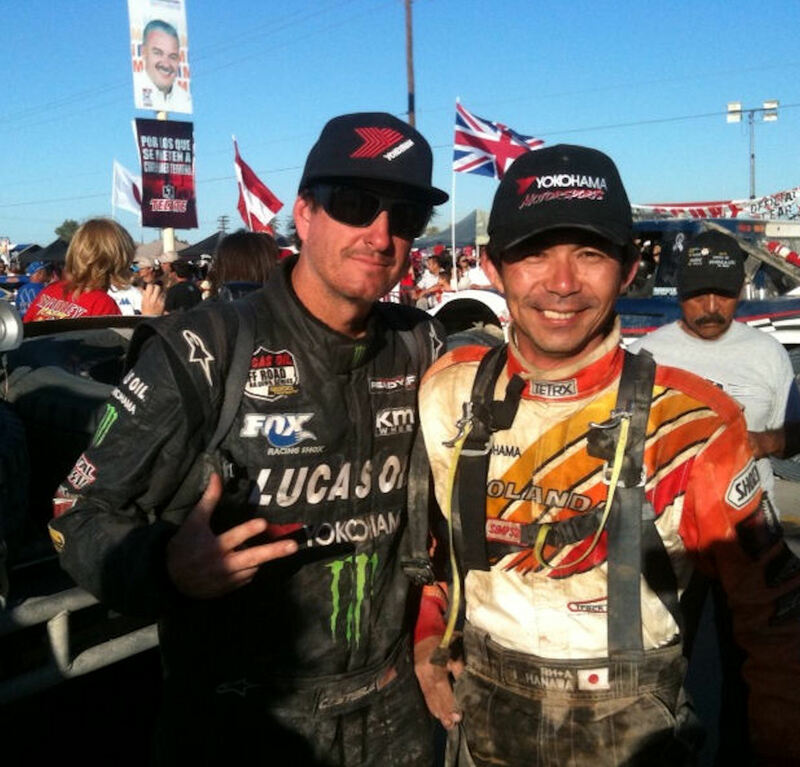 The San Clemente, California-based Cameron Steele fought the Baja with co-drivers Cody Stuart/Justin Smith (Capistrano Beach, California) and Pat Dean (Las Vegas). They piloted the No. 16 800-horsepower GMC Sierra, mounted with 37-inch Yokohama Geolandar A/T-S® R tires specially engineered for extreme off-road conditions for a 27:12:44 time and 19th place finish in the Trophy Truck class.